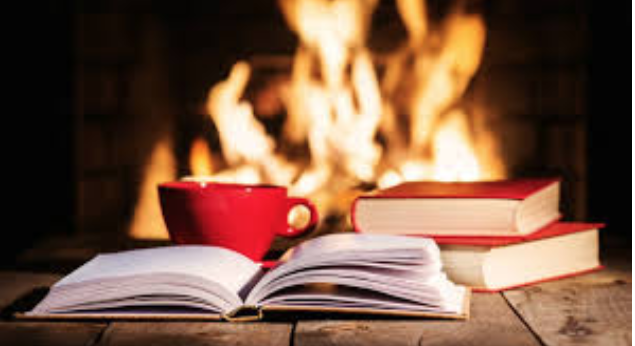 What better way can one spend the holiday than with a book by a cozy fire? Photo from www.bookstr.com. Having trouble staying occupied during the two weeks off from school? Cozy up next to the fireplace, and check out these five books during the holidays. To All The Boys I’ve Loved Before by Jenny Han—This adorable teen romance has just enough holiday spirit without going overboard. Netflix turned this best-selling book into a movie, and I highly suggest watching it after reading the book. A little preview of the book: someone secretly sends the protagonist Lara Jean’s love letters, leading to tension, lies, and love. It is the first in a trilogy; the sequels are P.S. I Still Love You and Always and Forever, Lara Jean. Don’t finish before winter break is over? Perfect! Book Club, which meets on Tuesdays, is reading To All the Boys I’ve Loved Before after the break, so join them to discuss the fascinating story of Lara Jean. 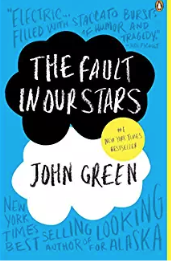 The Fault In Our Stars by John Green—Another great book turned into a movie. Although it does not specifically mention the holidays, I still recommend reading the book over break. It’s a lovely story about two teenagers finding love through a support group and making their wishes come true. The Giver by Lois Lowry—This dystopian novel is told by 12-year-old Jonas, who believes his life is perfect. However, as he grows under the guidance of the Giver, an older adult who becomes his mentor, he realizes that his society has horrendous flaws. Read the book, and take a journey through a roller coaster of emotions. A movie based on the book came out in 2014, and I highly suggest watching it. It portrays Phillip Noyce’s interesting interpretation of the scenery and turn of events. The Book Thief by Markus Zusak—If you’re into realistic fiction, The Book Thief is just the right book for you. The main character is Liesel Meminger, a little girl who challenges the harsh ban on knowledge by stealing books from Ilsa Hermann, an older lady with a large library, and learning to read. While doing so, she hides Max Vandenburg, a Jewish man, in her basement, a crime punishable by death. Read the heartwarming ending this winter break!